Across all age groups and abilities. Of teaching, training and choreography. Essential Dance believes in making dance enjoyable and accessible for all of those involved. Aiming to create a stimulating and educational environment building on self esteem and self confidence. All workshops are designed to support and enhance your provision in school developing each child’s learning journey as well as introducing new skills. I have been teaching Dance for over 15 years in both primary and secondary schools as well as within the community. I have experience in teaching all ages and abilities in a variety of styles. I am competent in all aspects of Dance ranging from, teaching, planning, choreographing and performing. I am currently working as a free lance dance teacher where I specialise in Curriculum based dance projects, supporting and enhancing children’s learning journey as they explore particular topics. I also train and up-skill teachers in order to develop their own ability in the delivery of the same programme of study. I always produce work of a high standard aiming to reach out, benefit and inspire all those involved. I am Fully Trained, Qualified to a Masters Degree Level, Experienced and DBS Checked. Dance is a universal language, a form of expression and communication, a creative way of learning and understanding, an opportunity to explore and imagine. Its also a form of therapy, an outlet, a release, therefore promoting positive energy and well being to every child. Essential Dance believes that every child matters. 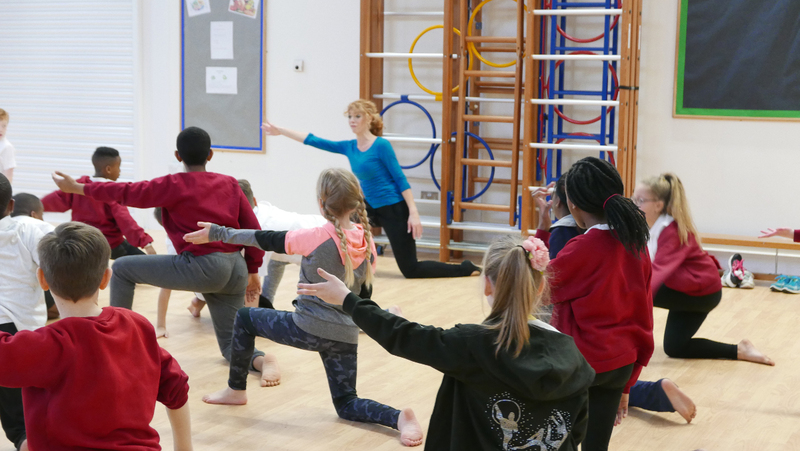 In addition Dance inspires, this has an impact on children’s overall performance helping them to achieve national curriculum targets in Literacy, Science, History Geography and more. 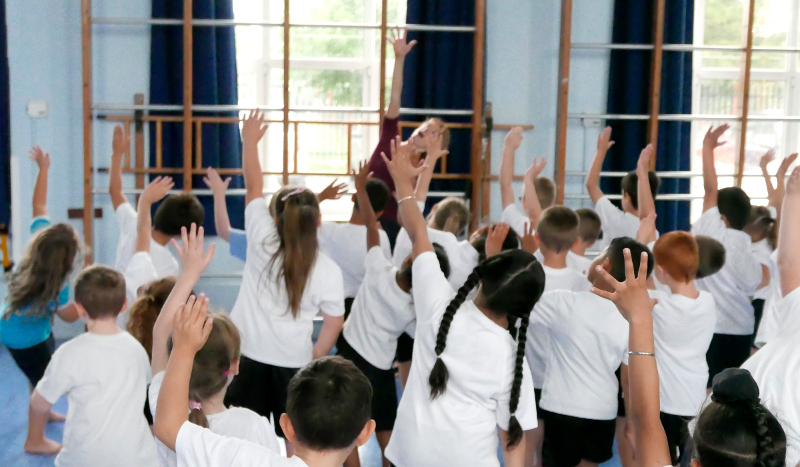 Children engage with enthusiasm in Essential Dance’s topic based workshops and this impacts your classroom teaching too. Weekly or termly sessions depending on your schools needs. Lovely to meet you yesterday. Thank you for a great dance session. The children really enjoyed working with you and you inspired all the teachers. Your pack is excellent. Thank you for putting such a quality resource together. I really look forward to working with you again. Wilstead Lower where I observed a staff workshop. She commented to me that she would definitely recommend Helen to other schools. of educational dance AND you were so encouraging! I feel certain that anybody, any age would enjoy and feel positive dancing if you were teaching it! children – and teachers!! – really enjoyed them. It helped to bring the Stone Age alive and they will be able to recall their dance as we work on the various areas of our topic. Look forward to working with you again sometime in the future. Wow best staff training for ages, everyone enjoyed it and felt there was lots to take away, adapt and think about! Will now be getting on to nina to see if we can have you in next year!! Just to say a huge thank you from Dave and me and of course, the children, for yesterday. Amazing! Parents very complimentary and children had a brilliant day. Really looking forward to working with you again soon. It went really really well! The children knew exactly what they were doing and so professional! They used the space well on the stage and had remembered all of the sequences. We had lots of people watching as well. Just a quick note to say a huge THANK YOU for all your hard work with my class this term. The dance performance today was simply fantastic and I couldn’t have been prouder of my little team! much it has been a real treat for the children and for me. Just a quick email to say thank you once again for all your great teaching with the dance this year. I thought the children did really well last Friday at remembering the routine. None of this would be possible without you so thank you! For any business enquiries please contact me directly using the contact form or email/call me directly using the details below.